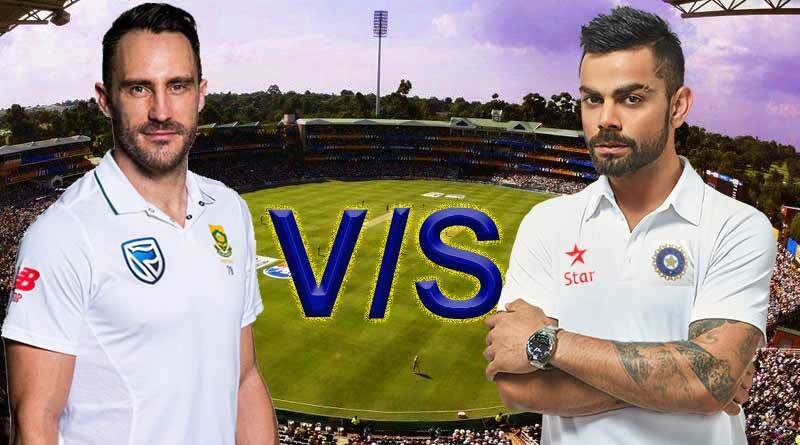 Going into the third and final test match of the series against the South Africans having already lost the series after losing the first two matches of the series, a beleaguered Indian side know that anything less than a win will be extremely embarrassing for the No.1 test side in the world. And efforts to end the series with a victory were in full swing as India sweated it out under humid conditions during a long training session. Ravi Shastri, the Indian team coach spoke to the media and addressed the problems they have had with the bat. He also admitted that the team would have done better on the pitches had they come to South Africa a bit earlier and played a few practice matches.”I would say our bowlers did a great job. I mean no one expected our bowlers to fire the way they did and take 20 wickets. “We (India) had chances in both the Test matches but didn’t make the most of it. Now, if our top order can (could) fire, it would make for a more competitive Test match,” said the coach. The South African camp on the other hand is in high spirits after having already sealed the series. They however have issued a warning to the Indian team by stressing on the fact that they would not rest back on their laurels and will be going for a 3-0 clean sweep once the match commences tomorrow. “It is just another game of cricket for us, but we do want to win each and every single game we play. So, it doesn’t matter that the Test series has already been won, we want to win all three matches,” said Philander. The Indian team is expected to make a slew of changes in their quest to win the final match. Surprising exclusions Bhuvaneshwar Kumar and Ajinkya Rahane will be drafted back into the team with Dinesh Karthik also likely to take over the wicket-keeping spot from Parthiv Patel. With rain expected to play a big impact on play, expect wet conditions which will aid the bowlers. The match can be watched live on Sony Ten and Sony Ten HD in English and Hindi from tomorrow. South Africa: Faf du Plessis (captain), Dean Elgar, Aiden Markram, Hashim Amla, AB de Villiers, Quinton de Kock (wk), Vernon Philander, Keshav Maharaj, Kagiso Rabada, Morne Morkel, Lungi Ngidi. India: Virat Kohli (captain), Murali Vijay, Lokesh Rahul, Cheteshwar Pujara, Rohit Sharma, Ajinkya Rahane, Hardik Pandya, Dinesh Karthik (wk), Ravichandran Ashwin, Bhuvneshwar Kumar, Ishant Sharma, Mohammad Shami, Jasprit Bumrah.